While blog surfing yesterday I discovered Bourbon & Pearls on the blog roll of Rich Life (on a budget). The post I read brought up the idea of a coma list...as in, the instructions to leave in the event you get hit by a bus and fall in to a coma...it was actually quite funny believe it or not. It made me think about what I would want my loved ones to do if I were utterly incapacitated. 2. Personal Grooming: Keep my eyebrows tweezed, my lip hair bleached, my eyelashes tinted, my hair washed regularly and sometimes styled with a brightly coloured scarf. Oh, and leg and toe hair should be maintained as well...if even only on a monthly basis. 2. Stimulation: Please play music continually, even while you are spending hours talking to me. I understand music plays an incredible role in repairing the brain.... no modern crap please, keep it to the classics. You know, like when artists actually wrote thoughtful and meaningful lyrics and then sang them without mindless one word repetitions and auto tuners....oh, except Cher, I love that "Believe" song! 3. Spend Hours Talking To Me: read to me, tell me about your day, explain what the doctors are doing, tell me who wore what where. 4. Surveillance: Please have cameras set up to monitor me and have someone on surveillance duty 24-7. I won't go into why I'm paranoid about my helpless, unresponsive body left in the hands of strangers in a busy hospital that allows admittance to anyone and everyone. Just do it. 5. Fun: Make up a really fantastical, super-dee-duper story of why I was in a coma in the first place. Then, when I come to, tell me the story and the truth. We'll see if I can guess the right one. 6. Children: If I have young children at the time please make sure they draw me a picture every day. Put their name and date and age on the back of each one. Also, take photographs and videos of them - everyday. Even the boring mundane stuff, especially the boring mundane stuff. 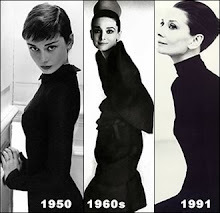 Make sure they know who the Beatles and Audrey Hepburn are. Bourbon and Pearls emailed me actually. Are you setting up a fund to finance the big sleep?? p.s. I will NOT play that Cher song. Just so you know. I could do without Cher also. If I am comatose please keep me at home if at all possible. That was the most depressing read... interesting but depressing. Your mum's funny. She won't play Cher. I'll sneak you in some Cher music if you like (when you're mum's stepped out for a minute of course). I can honestly say I've never thought of what I'd want my family to do if I slipped into a coma. oh, just feed my cats and pay my bills. I don't want to wake up and go back to a house where there isn't internet connection anymore. And then play Van Morrison all the time, very loud. My mother was actually in a coma for almost 4 weeks. We did most of these things for her. We played her Bing Crosby. Before she woke up she was mouthing the words...really.